Much of our world is now awash in artificial light at night, the result of more than a century of electrification. This light has enabled all manner of nighttime human activity from transportation to commerce, but it now presents a significant challenge to industrialized nations and emerging economies. Artificial light at night has known negative effects on humans and animals, and light wasted from overabundant and inefficient sources is a problem in terms of both energy security and climate change. Technology and industry provide societies with the means to roll back the influence of night and extend human activities well into the overnight hours, but this ability has come at great cost. In many cities, light pollution now effectively masks cosmic light, putting it outside the experience of billions of people who know little or nothing of the stars in their own skies. It threatens to sever our most immediate connection to the vast cosmos beyond our planet. The mission of the International Dark Sky Association (IDA) is to preserve and protect the nighttime environment and our heritage of dark skies through environmentally responsible outdoor lighting. IDA has worked since 1988 to achieve our mission by raising awareness of the negative effects of light pollution among voters, consumers, property owners and elected officials around the world. We also work with the global lighting industry to advocate for better design of outdoor light fixtures. IDA is committed to the notion that outdoor lighting, economic development and dark night skies can successfully co-exist. IDA’s International Dark Sky Places recognizes the efforts of Communities, Parks, and Reserves around the world in preserving and protecting dark locations for the benefit of future generations. The underlying philosophy of the program is that while humanity has certainly benefitted from the application of artificial light, it also needs places of respite where people can experience the qualities of the natural night. Many certified Dark Sky Places feature new outdoor lighting technologies that visitors can experience in hopes they will take these ideas back to the cities and towns in which they live. The Dark Sky Places have developed a reputation among discerning travelers as destinations for high-quality tourism. 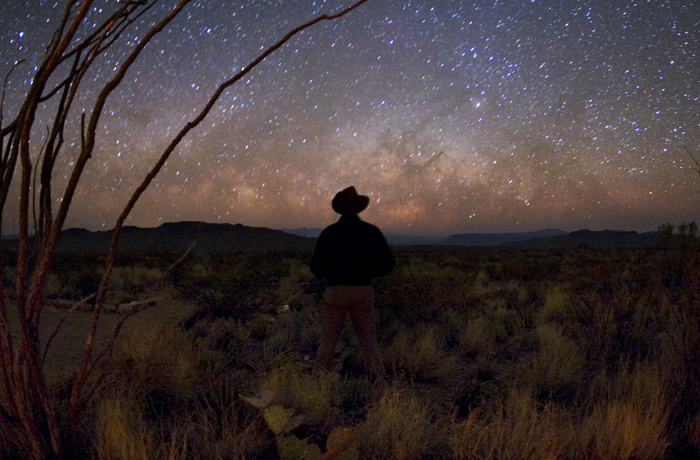 A growing number of “astrotourists” trek across the globe in search of authentic dark-skies experiences, producing a measurable economic impact in nearby communities. For example, a 2011 study of Galloway Forest International Dark Sky Park in Scotland found that every £1 spent on the development of the Dark Sky Park yielded £1.93 of activity in the local economy. Anecdotal reports from other Dark Sky Parks also note significant increases in visitation attributed to their IDA designations. In the 1994 La Laguna Declaration UNESCO asserted, “Future generations have the right to an uncontaminated and undamaged Earth, including pure skies.” Furthermore, the Declaration insists that they are entitled to such skies “as the ground of human history, of culture and of social bonds that make each generation and individual a member of one human family.” We believe similarly that the natural night should be accessible to all, for every one of us shares just one night sky. We invite everyone to visit a Dark Sky Place, marvel at the unspoiled night skies that still exist, and contemplate ways to bring the experience of cosmic light back into our own lives.